This distribution list is made up of VMware customers and enthusiasts working in State & Local Government and Education (SLED) accounts within the New England region. We intend on bringing SLED-specific information about VMware product solutions, training events, local conferences, and other news that can help our customers several times a year. 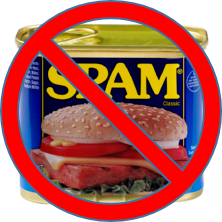 If the mailings feel too spammy, there will be an opt-out link at the bottom of every email. This service is operated exclusively by your regional VMware SLED sales account team and we will respect the right to be part of your inbox. Your contact information will not be shared with non-VMware employees. Opting in and out of this bulletin service is done through MailChimp. MailChimp is not affiliated with any of your MyVMware email accounts or regular existing VMware notifications. After completing and submitting this form, please check your inbox for a confirmation email. It can take a few minutes for it to arrive. If you did not receive an email, please check your junk folder and kindly mark us as a safe sender.